How was your January? We are one month into the new year already! Whether your health and fitness goals are now back firmly in focus or are still making their way back into your routine; this green detox smoothie is the perfect way to complement them. 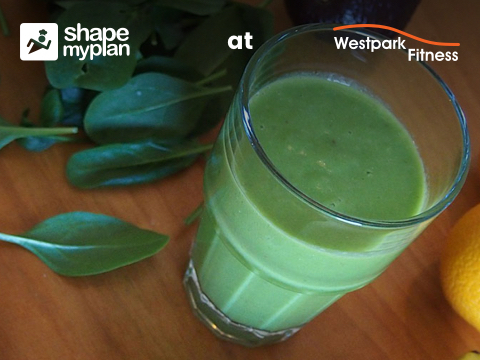 With a mixture of fruit and vegetables (with added protein too), it is an ideal recipe from Shape My Plan to turbocharge your body as your work towards your 2019 health and fitness goals at Westpark Fitness. Slice the avocado in half. After you remove the stone, scoop out the flesh of the avocado and add it to a blender. Peel both the frozen banana and the kiwi. Cut each of these fruits up – with slices working better for the banana and rough chunks being perfect for the kiwi. Add the banana and the kiwi to the blender along with the avocado and then add in the almond milk and the scoop of vanilla protein powder. Blend all of these healthy ingredients together in the blender until the smoothie has a smooth and velvety consistency. Vibrantly green and brimming with health benefits, the green detox smoothie is a great recipe to know and keep as part of your health and fitness routine. It comes to you from Shape My Plan – the amazing food and nutrition app packed with recipes, information, tips and even a nutrition tracker. Usually €12 per month, Shape My Plan is available to Westpark Fitness members for only €4 per month!